Hawaii Hotspots Named Most Romantic in the U.S.
Are you a hopeless romantic? Or, more specifically, are you a hopeless romantic-foodie who loves Hawaii? If so, you’ll be glad to know that five Hawaii restaurants and one Hawaii hotel have been voted the “Most Romantic” in the U.S., courtesy of Open Table and Trip Advisor. Last week, Open Table released its list of the 100 Most Romantic Restaurants in America, and five romantic restaurants in Hawaii made the cut — not too shabby, especially when you consider the list was made by using more than five million restaurant reviews submitted by Open Table diner for more than 20,000 restaurants in all 50 states. All reviews came in between December 2014 and December 2015. Capische? at the Grand Wailea on Maui features Italian and French cuisine with an island twist. La Mer at Halekulani on Oahu: The restaurant has, once again, retained its AAA 5-diamond restaurant and was just awarded a five-star designation by Forbes Travel Guide — the only restaurant in Hawaii to receive this accolade. The menu features local, tropical ingredients in dishes inspired by flavors from the south of France, plus beautiful ocean views. Michel’s at the Colony Surf: Michel’s at the Colony Surf has been around since 1962 and has been given the “Best Restaurant for Romance” Hale Aina Award every year since 1985. The restaurant boasts the “island’s best oceanfront view of sunset and the Honolulu city lights” and French haute cuisine. Tidepools – Grand Hyatt Kauai: Talk about romance! Tidepools features hatched-roof bungalows that float above a koi-filled lagoon at the base of a waterfall, where you can dine on the freshest of fish and steak prepared with unique island flair. The restaurant has been recognized by Zagat Surveys as the Best Restaurant on Kauai and to have been named best resort and most romantic restaurant by Hawaii Magazine readers. Ulu Ocean Grill and Sushi Lounge: Ulu Ocean Grill and Sushi Lounge prides itself on presenting “R.S.A.” cuisine — Regional, Seasonal and Artisanal. Working with more than 160 farmers and fishermen on the island, the culinary team are leaders in sustainable dining. 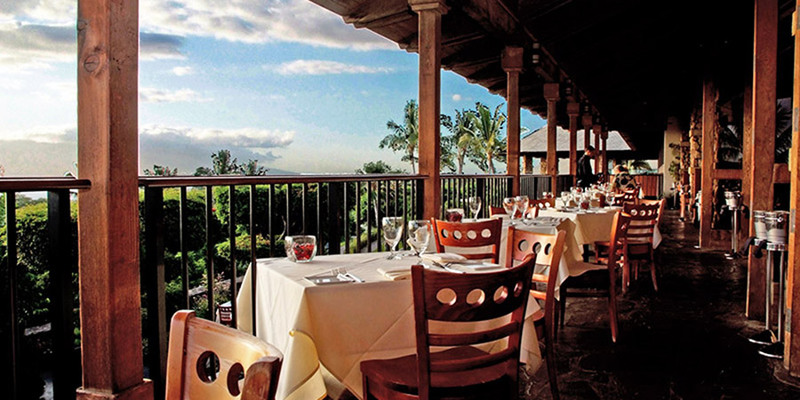 Ulu restaurant in Kona, as with the entire Resort, features cuisine that is 75% from Hawaii Island. In the spirit of romance, Trip Advisor just released its list of the most romantic hotels in the U.S., and a Kauai hotel made the top three. Hawaii’s [haw]Koa Kea[/haw] Hotel and Resort in Poipu, Kauai, is Hawaii’s most romantic hotel and is the third-most romantic hotel in the U.S., according to the ranking of Top 25 Romantic Hotels in the U.S. The Koa Kea Hotel on Kauai was voted the third most romantic hotel in the country by Trip Advisor. 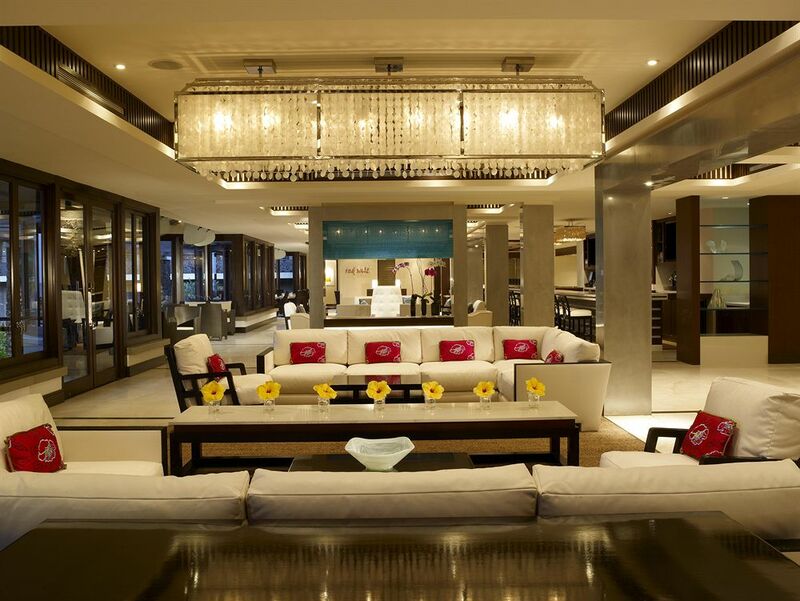 The venue is a boutique hotel with only 121 rooms and located on Kauai's south shore. Also on the U.S. list? TripAdvisor’s ranking of the best small hotels in the U.S. rates Kalaekilohana, in Naalehu on Hawaii Island, as No. 3 in the country. Seems we’re all in agreement: Hawaii has some of the most romantic restaurants and hotels in the country. So, what are you waiting for? Grab your sweetheart, and make some magic in Hawaii!